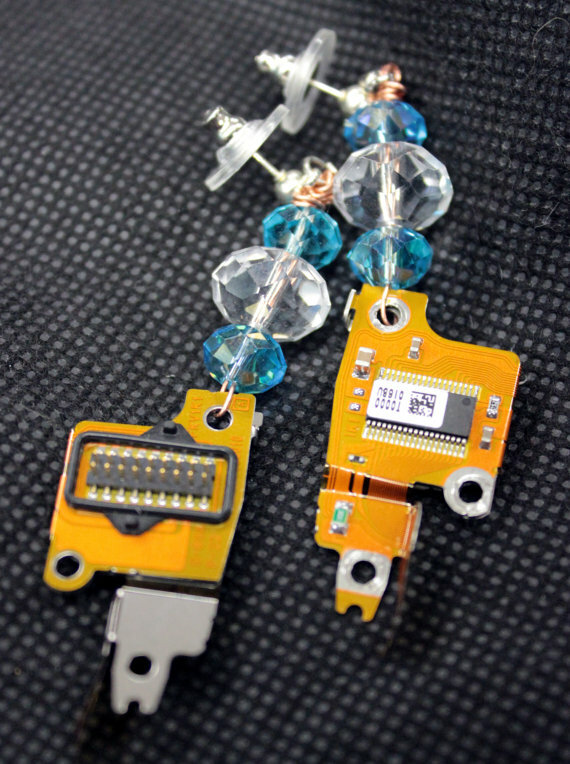 Earrings made from recycled computer hard drives connectors and beads. A unique piece of wearable art. PDD120 These earring can be purchased thru my Etsy shop.